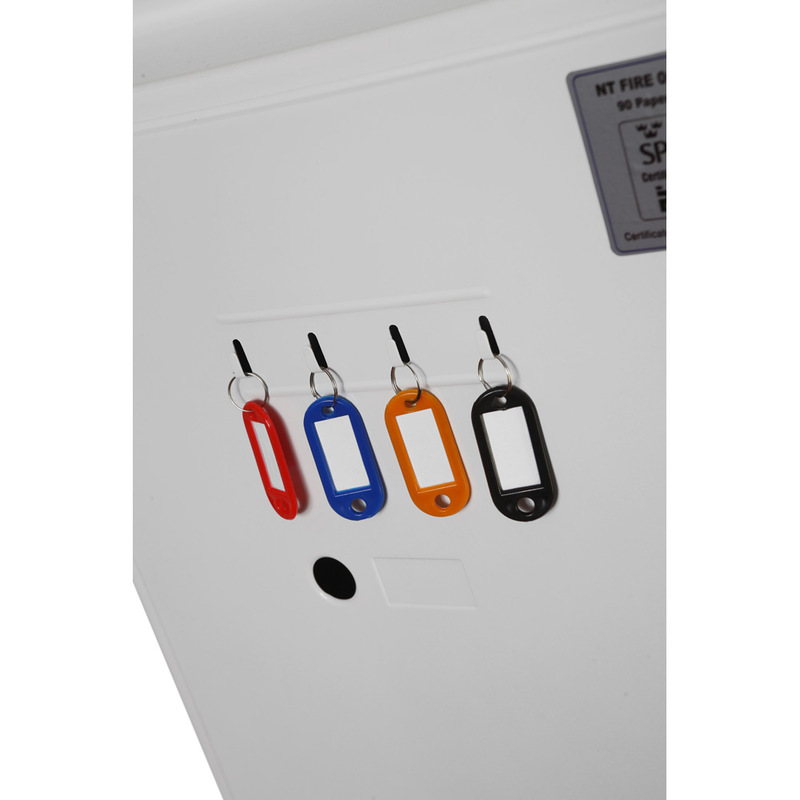 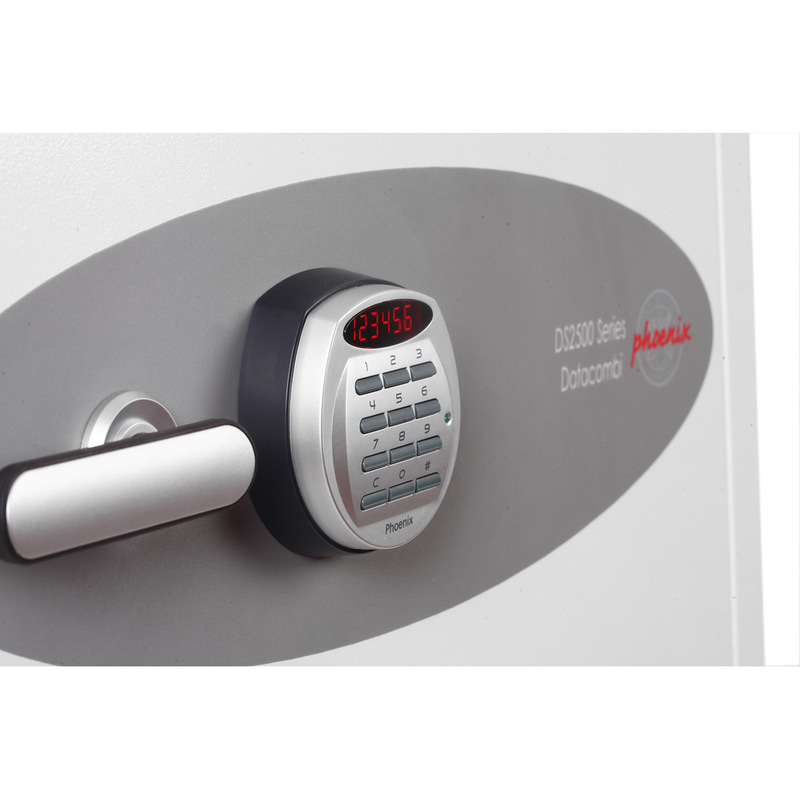 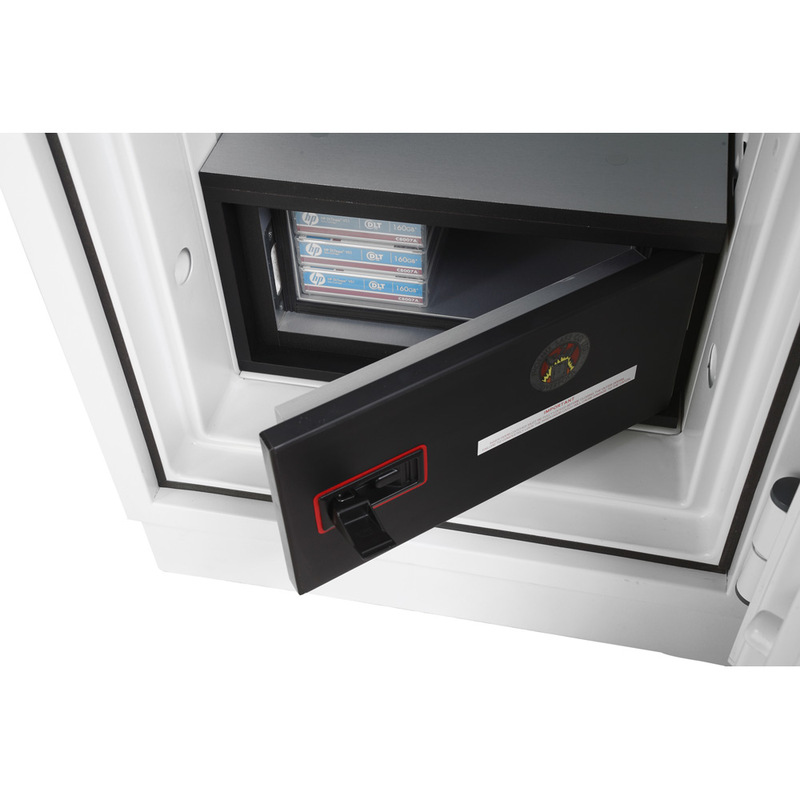 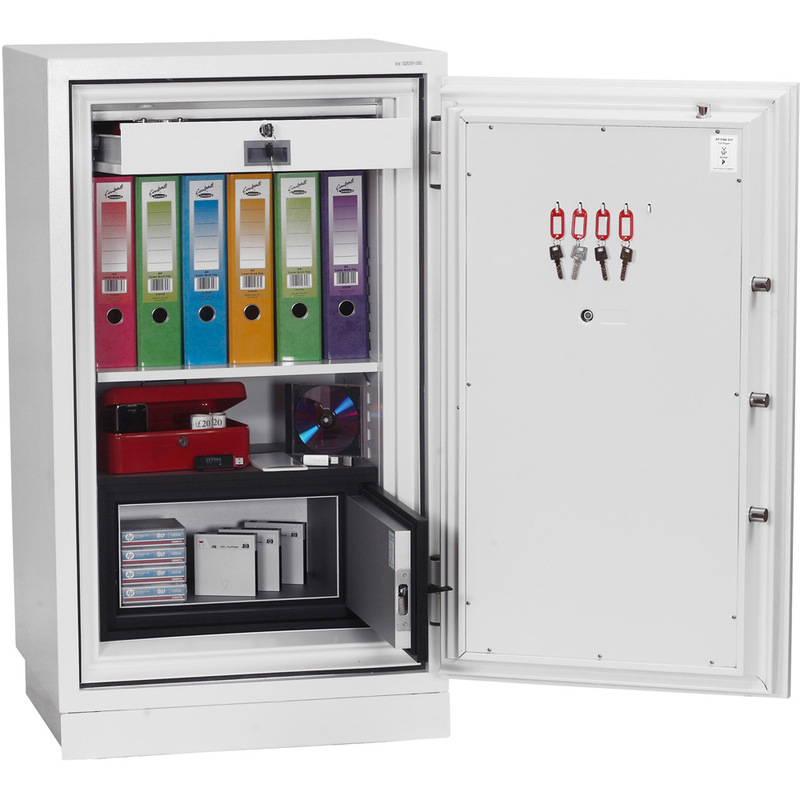 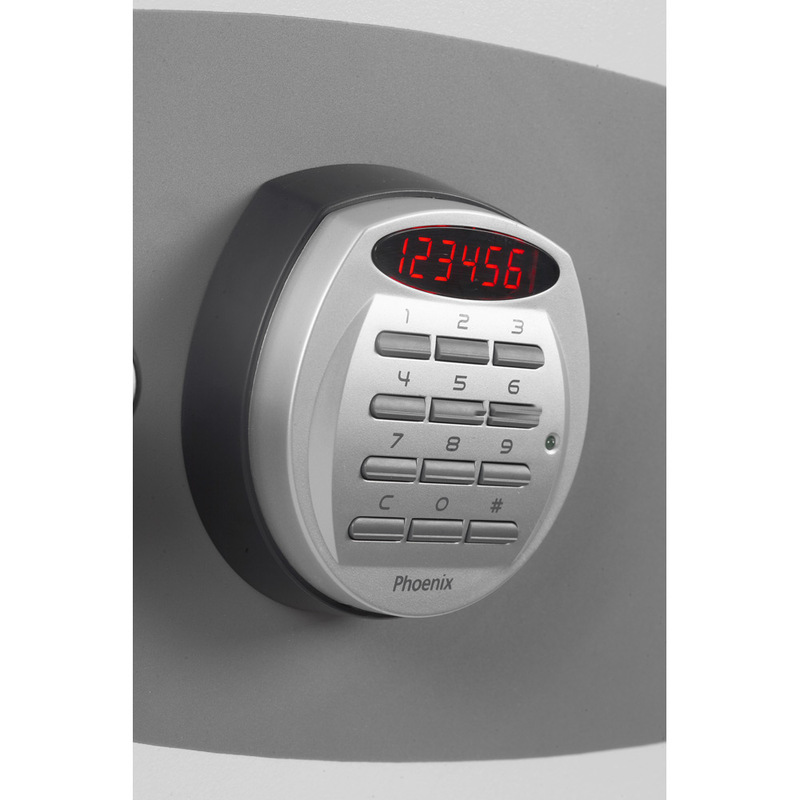 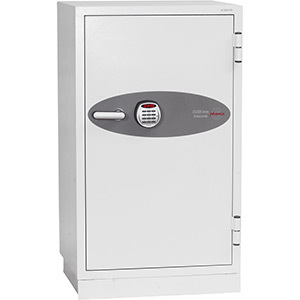 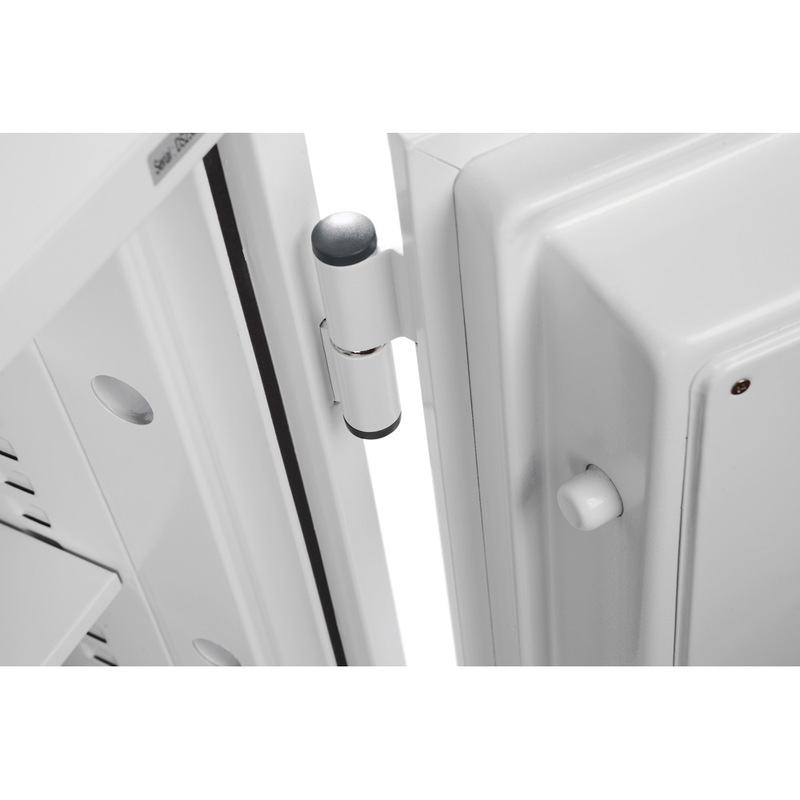 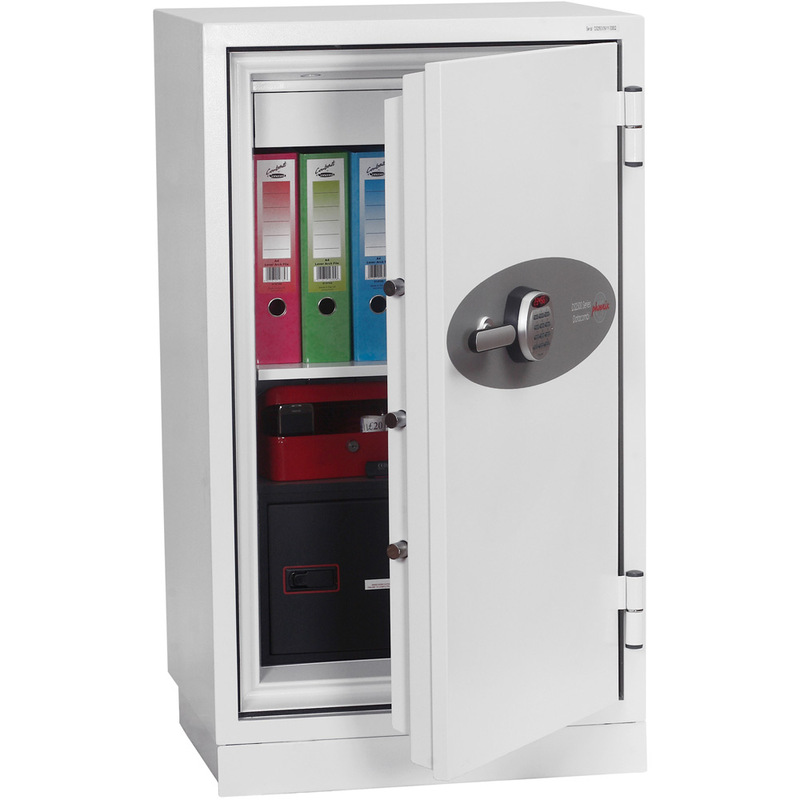 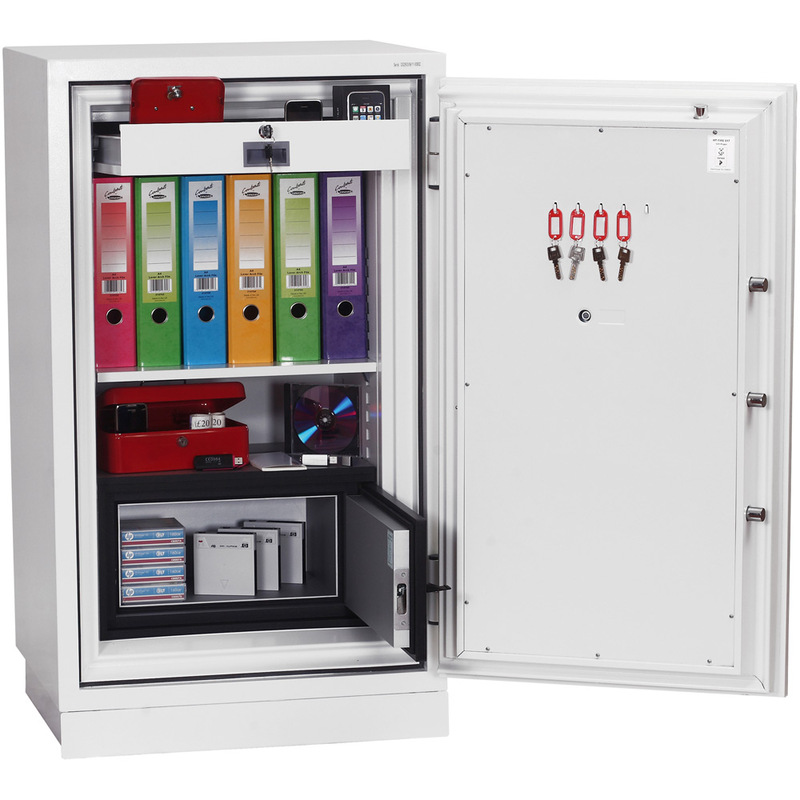 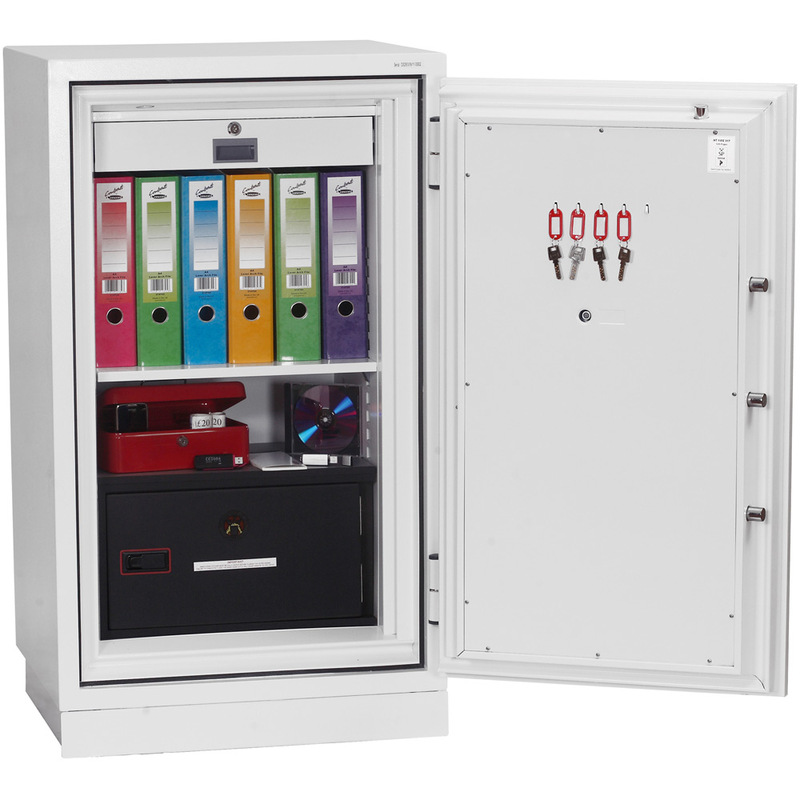 THE PHONEIX DATA COMBI DS2503E provides fire protection for paper documents, computer diskettes, tapes and all forms of data storage and security for cash and valuables all in one unit. 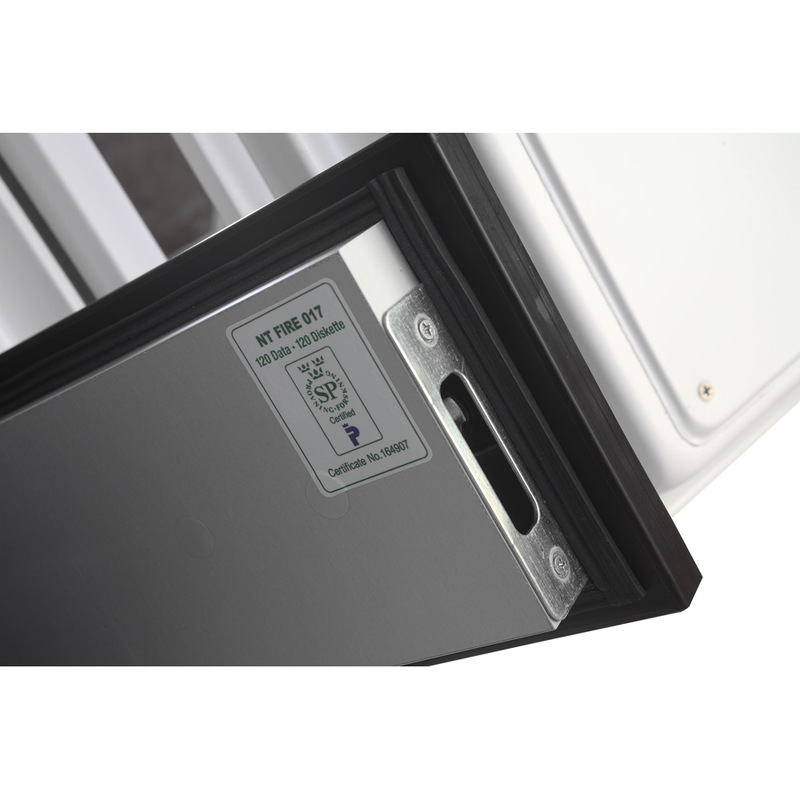 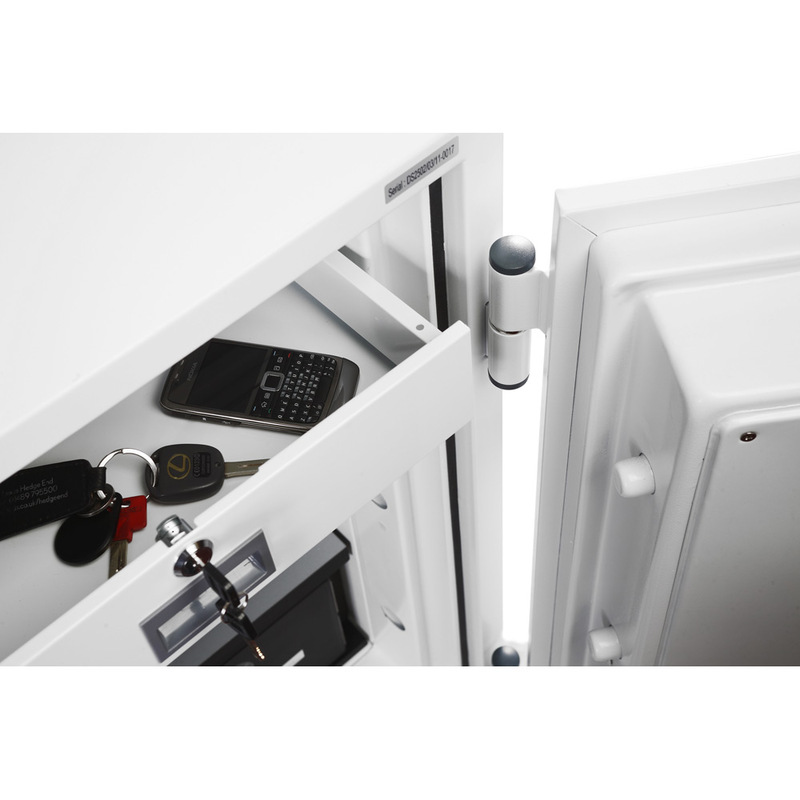 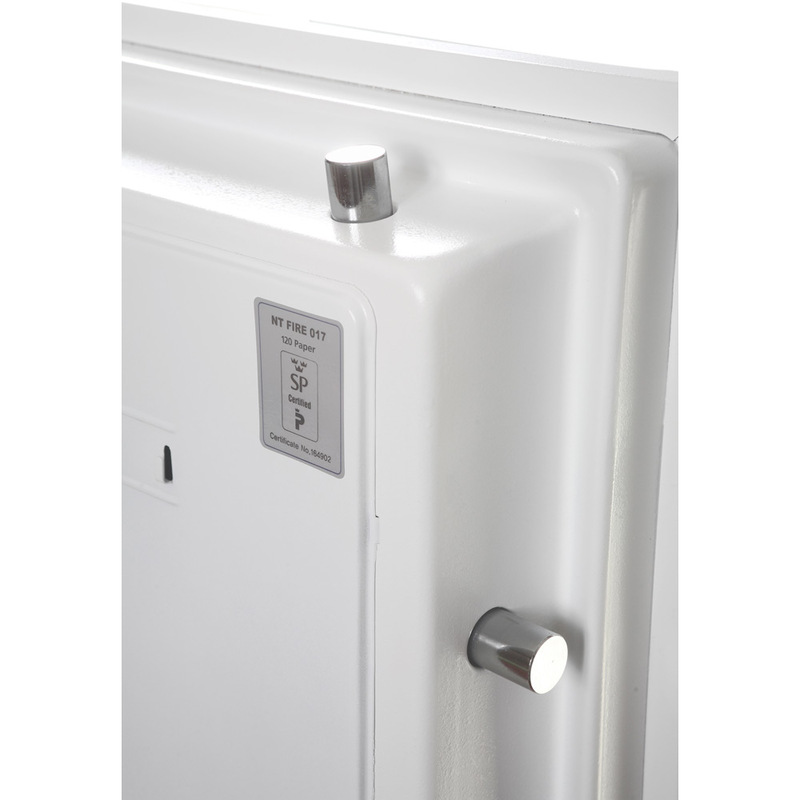 Suitable for use in residential or business premises. 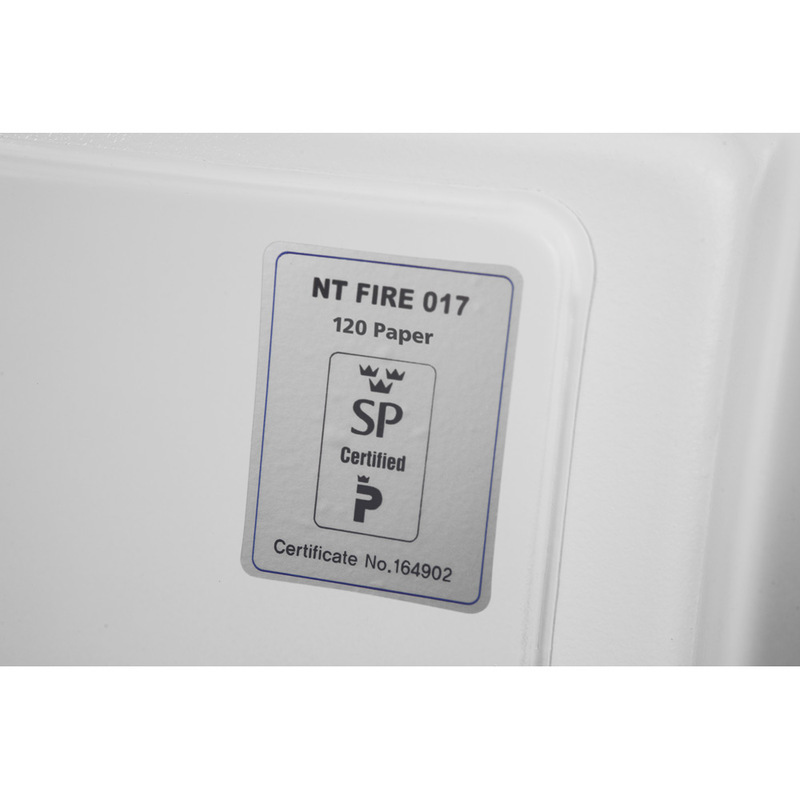 FIRE PROTECTION (PAPER) – Tested to Swedish NT Fire 017 – 120 Paper, providing 120 minutes fire protection for paper documents. 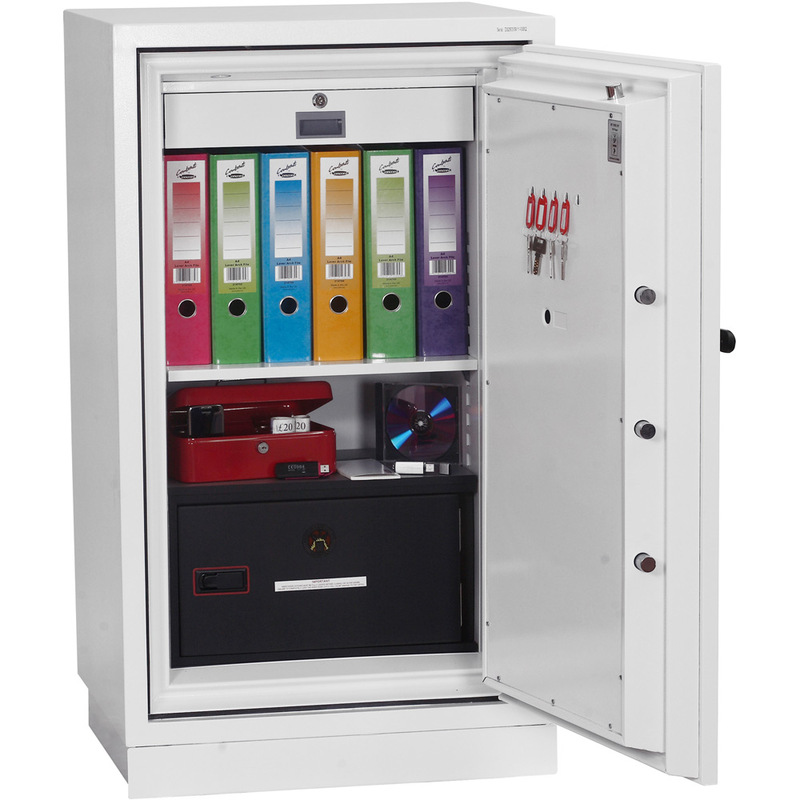 FIRE PROTECTION (DATA) – Tested to Swedish NT Fire 017 – 120dis, providing 120 minutes fire protection for computer diskettes, tapes and all forms of data storage.